On November 10, Royal IHC successfully launched the Spartacus, a 44,180kW self-propelled cutter suction dredger (CSD) designed and built for DEME. 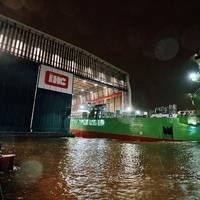 The ceremony took place at IHC's shipyard in Krimpen aan den IJssel, The Netherlands. It was performed by Mrs Fabienne Ackermans, the spouse of Mr Luc Bertrand (chairman of the Board of Directors of Ackermans & van Haaren, owner of DEME).Spartacus is reportedly the world’s largest CSD and the first to be powered by liquefied natural gas (LNG). The four main engines can run on LNG, marine diesel oil (MDO) and heavy fuel oil (HFO). 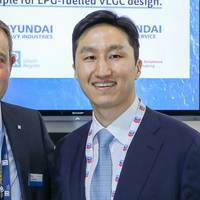 South Korean shipbuilder Hyundai Heavy Industries (HHI) has received Approval in Principle (AiP) from Lloyd's Register (LR) for a very large gas carrier (VLGC) design capable of using liquefied petroleum gas (LPG) as fuel.LPG presents advantages over marine diesel oil (MDO) and heavy fuel oil (HFO) when a VLGC is able to utilize the LPG cargo on board as a fuel. However, safety issues need to be thoroughly examined particularly in relation to potential leaks of LPG in a confined space and the implications for ventilation. SENER signed a contract with the owner Rimorchiatori Riuniti Panfido & C.s.r.l for delivering the basic engineering and technical assistance in the construction of a liquefied natural gas (LNG) SBBT unit, which will operate in Italy and the Adriatic. Panfido is one of the most important tug and barge owners in Europe, with 130 years of experience in marine services. 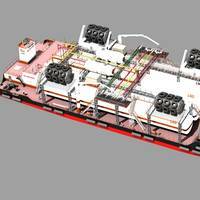 This project is co-funded by the European Union through the Poseidon MED II program.The SBBT unit’s design is a combination of a LNG fueled tractor tug (powered unit) and a LNG bunkering non-propelled pontoon of 4,000 cu. The Buckeye Terminal in the Arthur Kill Waterway near Port Reading, N.J. was reopened Thursday, following last week's diesel oil spill.The terminal has resumed full operations with the opening of the south dock Thursday afternoon, the U.S. Coast Guard said.The Unified Command that had been established in response to the September 6 spill is now stood down as the Coast Guard continues to work with NJ/NY State agencies and the EPA to monitor continuing cleanup efforts.As of Thursday morning, an estimated 56,000 gallons of oily product has been recovered. Canada's Fednav Limited takes ownership of a 60th bulk carrier, an important milestone in Fednav’s history. This vessel, the MV Federal Dee, is the latest in a series of 22 box-hold handysize bulk carriers of 34,500 deadweight tons ordered from Oshima Shipyard of Japan since 2013. As the world’s largest operator of ice-class dry-bulk carriers and Canada’s leading ocean-going, dry-bulk shipowning and chartering group, Fednav operates a modern and high-performing bulker fleet of over 100 ships, the majority of which are owned. Keppel Offshore & Marine Ltd (Keppel O&M) through its wholly-owned subsidiary, Keppel Singmarine Pte Ltd, has secured a contract from FueLNG, a joint venture between Keppel O&M and Shell Eastern Petroleum (Pte) Ltd, to build South East Asia's first Liquefied Natural Gas (LNG) bunkering vessel valued at approximately S$50 million. Scheduled for completion in 3Q 2020, the dual-fuel LNG bunkering vessel will have a capacity of 7,500 cubic metres. FueLNG will receive a grant of up to S$3 million as part of the Maritime and Port Authority of Singapore's (MPA) LNG Bunkering Pilot Programme (LBPP). 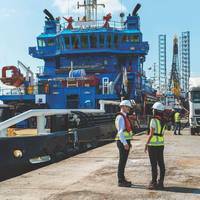 The global LNG bunkering market is expected to witness a CAGR of 62.5%, and is projected to reach USD 24684.7 million by 2023, said a report by Energias Market Research. 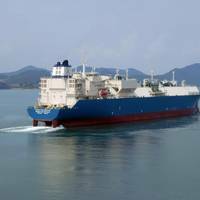 The key factors driving the growth of LNG bunkering market are increase in LNG demand in order to reduce the carbon footprint in the shipping industry stringent international emission policy, the best cost-effective alternative fuel and significant rise in government initiatives supporting LNG adoption. LNG Bunkering is the practice of providing liquefied natural gas fuel to a ship for its own consumption. 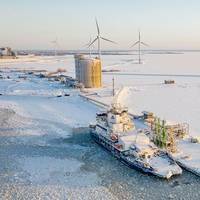 Skangas said its vessel Coralius has for the first time both cooled down tanks and delivered liquefied natural gas (LNG) in one operation. 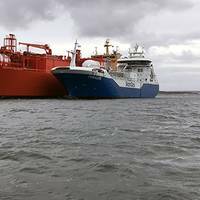 The receiving vessel LEG/C Navigator Aurora was supplied with just under 500 mt LNG in the middle of a voyage between Sweden and South Europe over October 7 and 8, 2017. Going from using diesel oil to LNG requires time consuming but necessary process of cooling down operation of the receiving ship’s fuel gas tanks from ambient conditions to minus 160 degrees. 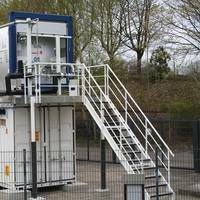 DNVPS has warned that cat fines levels are increasing year by year. Lower sulphur marine fuels have even higher cat fines levels than typical heavy fuel oils (HFO). The ExxonMobil MobilGard lube oil monitoring service, concludes that 43 percent of all ships “have a potentially catastrophic issue with cat fines,” based on testing more than 400,000 marine diesel oil samples. So, cat fines are a very serious threat to every ship burning heavy fuel oils. What is the solution? Many have studied this serious problem, and all have come to the same basic conclusion: eliminating the 3 to 5 micron cat fines (and larger) will prevent the cat fines from damaging fuel injection pumps, fuel injectors, piston rings, pistons, cylinder liners, exhaust valve seats and stuffing box seals. Royal Australian Navy will commission the first of three new destroyers today (On 23 September). In continuing our reflective stories of previous ships that have carried the name HMAS Hobart, this is the story of Hobart (II). The second ship to bear the name Hobart was one of three Perth class guided missile destroyers built in the United States for the Royal Australian Navy. She was commissioned at the Boston Navy Yard on 18 December 1965 under the command of Captain Guy Griffiths. Wärtsilä and Maran Gas Maritime (MGM) extend their current cooperation with a five-year maintenance agreement covering the maintenance of MGM's 21 TFDE (tri-fuel diesel electric) LNG carriers that are equipped with Wärtsilä 50DF engines. 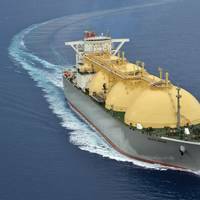 Maran Gas Maritime Inc. is the LNG shipping unit of the Angelicoussis Shipping Group and one of the major players in the worldwide LNG transportation. The group company operates a fleet of approximately 130 merchant vessels globally with 33 of these being LNG vessels - 21 of which are TFDE. The MR tanker Stena Imagination was named in the Port Rashid Terminal in the heart of Dubai. 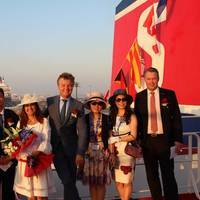 According to Erik Hånell, President & CEO of Stena Bulk and CEO of Stena Weco, “Naming the Stena Imagination in Dubai is very much a strategic choice. Stena Bulk recently opened an office here together with Stena Weco and Golden Stena Weco. We already had a presence in the market in the region but wanted to get even closer to our customers. Stena’s tanker business already has a presence in the area with contacts in the neighboring region. 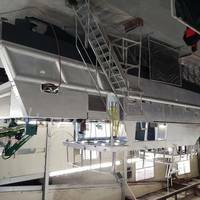 Desgagnés has taken delivery of the duel-fuel tanker M/T Damia Desgagnés, a brand new vessel recently built in Turkey. A next generation and state-of-the-art asphalt-bitumen-chemical tanker, she is the first of a series of four oil carriers, custom-built according to an original concept developed by Desgagnés and ordered at the Besiktas shipyard located in Yalova near Istanbul, Turkey. The Damia Desgagnés is the first dual-fuel powered Canadian-flagged tanker and the first-ever asphalt carrier of this type. Double-hulled, she is equipped with a Wärtsila 5RT-flex 50DF engine developing a power output of 5,450 kW. The ship can be powered by any of three types of fuel, namely heavy fuel oil, marine diesel oil or liquefied natural gas (LNG). 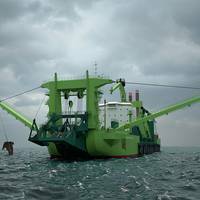 Royal IHC said it has been awarded a contract for the design, construction and delivery of a 164m-long, 44,180kW self-propelled cutter suction dredger (CSD) for DEME in Belgium. The vessel, Spartacus, will be built in the Netherlands for summer 2019 delivery. Spartacus will be the world’s first CSD powered by liquefied natural gas (LNG), following on the order for the first LNG-powered trailing suction hopper dredgers (TSHDs) Minerva and Scheldt River, and the LNG-ready Bonny River, that are currently under construction at IHC’s shipyards. The IMO’s MEPC 70 proposals for a marine fuels sulfur cap of 0.5% to be in place by 2020 have attracted severe criticism from several major stakeholders in the maritime sector, including the International Bunker Industry Association, the organization that defends the interests of bunker fuel suppliers. 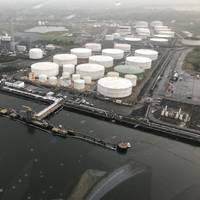 The IBIA has stated that several unknowns remain about the proposed limit and has asked whether assumed global capacity will translate into actual marine market supply in 2020: “Will refiners produce suitable fuels, and what will these fuels look like? ENGIE, Fluxys, Mitsubishi Corporation, and NYK have taken delivery of the world’s first purpose built liquefied natural gas bunkering vessel (LBV) from Hanjin Heavy Industries & Construction Co. Ltd., at the Yeongdo shipyard in Busan, Korea. 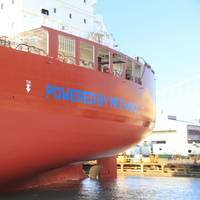 She will run on LNG for her maiden voyage, after a few days of loading LNG delivered by trucks at the shipyard. Zeebrugge in Belgium will be the home port of the vessel, which has been named ENGIE Zeebrugge accordingly. 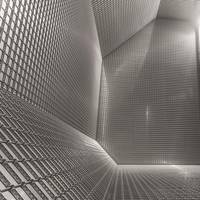 From there, the 5,000 m3 LNG capacity LBV will supply LNG as a marine fuel to ships operating in Northern Europe.